In a heavy pitcher, muddle* together the lime slices, peppermint leaves, and sugar. Remove from refrigerator and add the lemon lime soda. 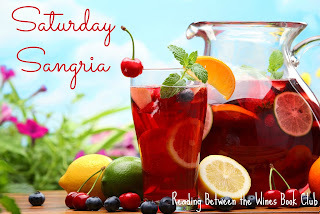 Add ice and a few chunks of the pineapple to your glass and pour sangria over. 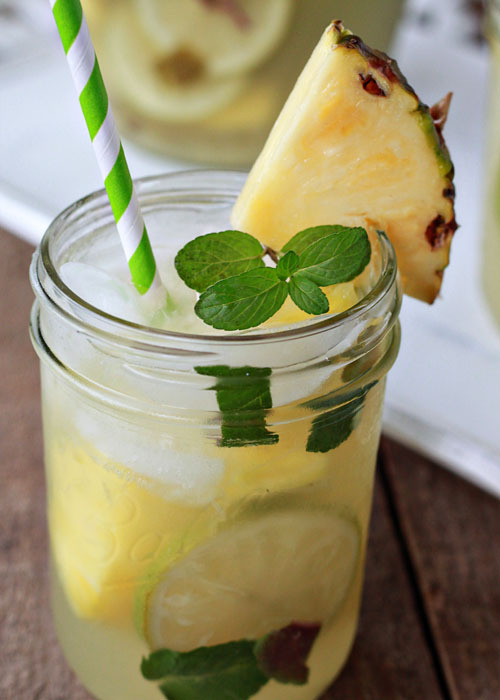 Garnish with additional mint leaves and pineapple wedge if desired. Serve & enjoy! * When mixing cocktails, herbs and/or fruit are often mashed or ground -- muddled -- with sugar in the bottom of a glass before adding the liquid ingredients to intensify their flavors. You can muddle with a spoon or a pestle-like tool called a muddler.